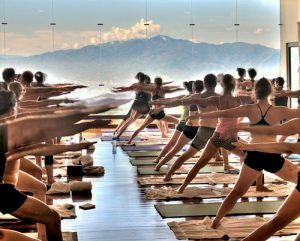 The Barkan Method 18th annual Hot Yoga Retreat and Advanced Teacher Training in Costa Rica! Only a few spots left!! We will sell out!! Join Jimmy Barkan, and his senior Barkan Method Staff, to experience a blissful, rejuvenating vacation of yoga at Pura Vida Spa – a private, gated, 8-acre mountainside estate in Costa Rica’s Alajuela province. Pura Vida Retreat and Spa is considered by some as the Wellness & Yoga destination of choice outside the United States. Advance your yoga practice to the next level while exploring the delights of Costa Rica, a country which is renowned for its beauty. Or relax and ease your worries with a yoga retreat where classes are offered but optional. Prices start at $1605 and include yoga, housing, meals and airport transfer. Join Jimmy and his senior staff for a magical yoga vacation! Open to everyone. Many come on their own, with a spouse, family and friends. All Yoga classes and evening sessions are available to those on retreat and optional. Enjoy delicious meals prepared by chefs using the most fresh and healthy ingredients. Indulge in exotic spa treatments. Spend time reading & meditating by the pool. Relax with the nature of Pura Vida. Explore and reconnect with yourself & others. Hot Yoga Teacher Training Level II and III. For Certified Yoga Teachers or those with an Advanced Practice only. Receive Hands-On instruction from Jimmy who has been certifying teachers since 1986! His experience and expertise is unparalleled. Be reminded of why you fell in love with hot yoga in the first place!